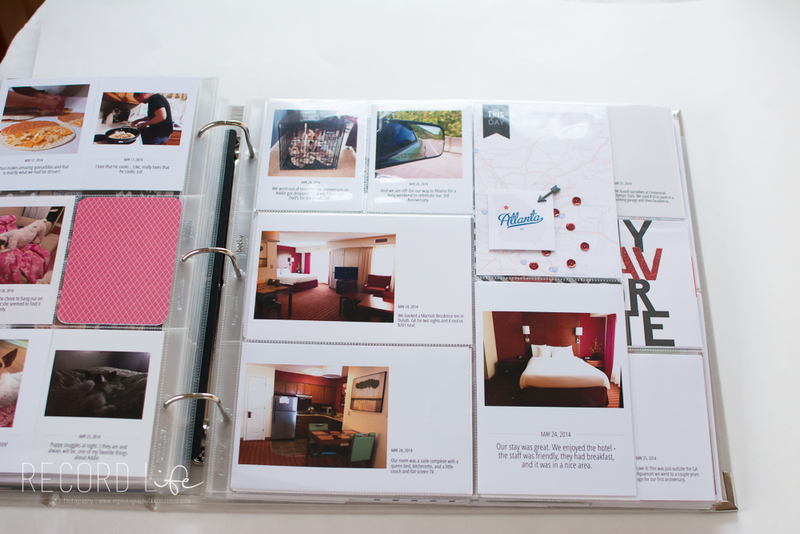 I think perhaps I take the most photos for my annual Project Life albums when we travel. When we first got married, we took a lot of little weekend trips. Over time though, the money spent on our weekends away because money that was spent towards a down payment on our house, new flooring, and oh yeah, we also adopted a dog. Our weekend trips are definitely more limited now, however we still enjoy stealing away for a weekend every now and then. This page is one I created after we returned from a summer getaway to Atlanta. I used the Collect App to document our trip on the return trip home. It didn't take me but a few moments to have everything ready to send off to the lab for printing. Next, I decided to use Becky Higgins Design G because I enjoy the variation in size when I'm about to scrapbook a trip or something out of the ordinary. 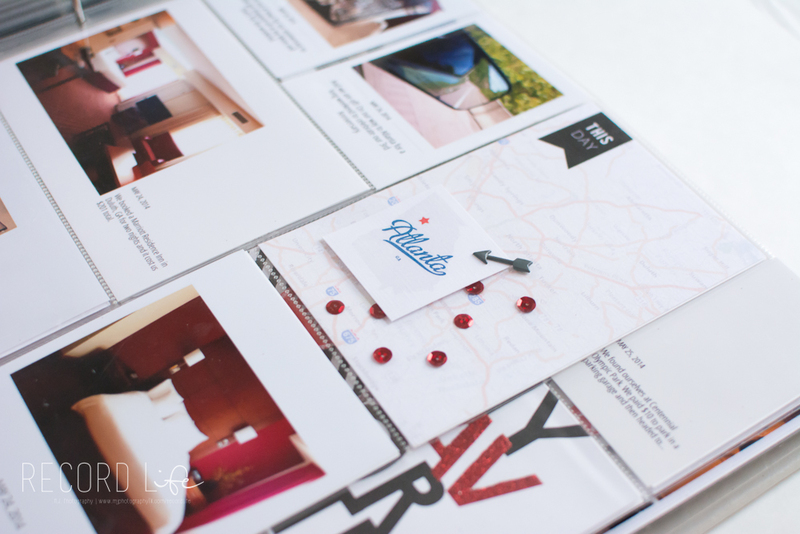 Then, I used Google images to print out a map of Atlanta and added this free digital stamp from One Velvet Morning which I pinned on Pinterest here. After that, I used another Google image to create the location of Atlanta. Lastly, I added a little arrow embellishment I picked up a local craft store and some red sequins. Once the page was completed, I'm pretty sure I fell in love.